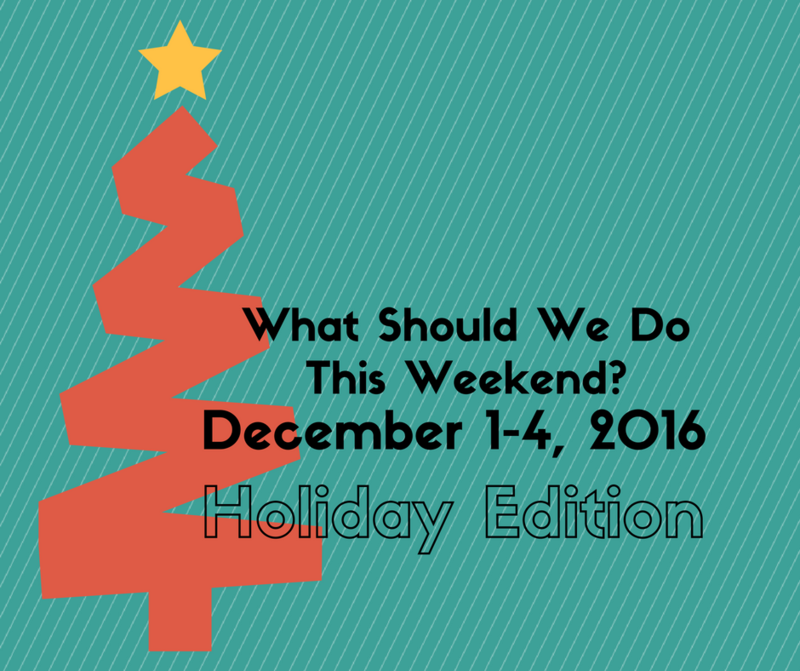 November 2016 | What Should We Do Today? 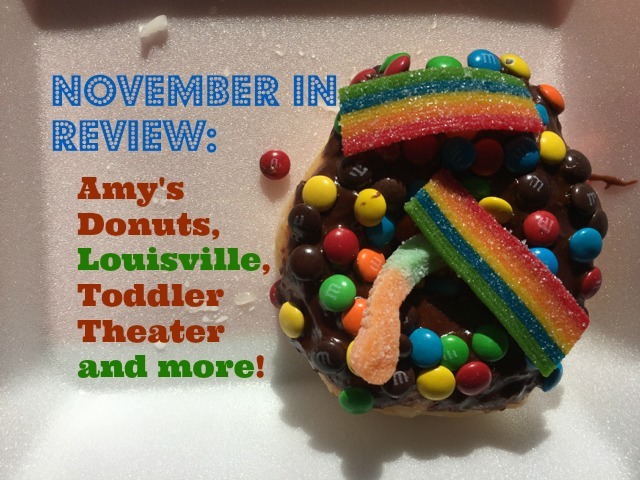 November in Review: Amy’s Donuts, Louisville, Toddler Theater and More! As I’ve gotten older, fall has started to lose its charm. Especially since I became a parent, fall has been overshadowed by the reminder that winter is coming. As a mom, to me, winter means finding indoor activities, braving the cold to leave the house, dark nights after dinner, watching the clock crawl backwards until bedtime. Winter means a lot of extra effort to get out of the house, battling bulky coats and losing gloves. It means getting out to the car and then realizing you forgot to allow time to defrost and scrape icy windows. It means standing outside in the cold while my kids build snowmen, staying at home when the roads get bad. UGH. I’m depressing myself just writing this paragraph. BUT the point I’m getting to is that this year, fall was amazing! Sure, November was rough in a few ways: the Indians lost the World Series in a rain-delayed, extra inning Game 7, the election craziness, the loss of sleep due to staying up to watch both events unfold on TV! But there were a lot of great things about November too: abnormally high temperatures, the leaves staying full of color throughout the month, the beginning of the holidays! 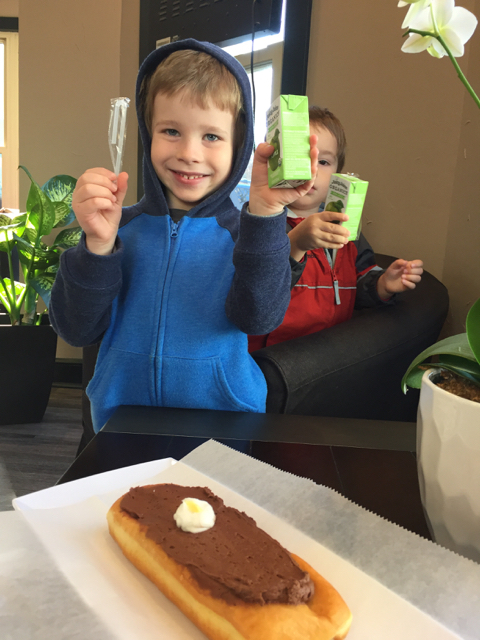 We had a lot of fun in November, soaking up the extra unanticipated month of warmth! 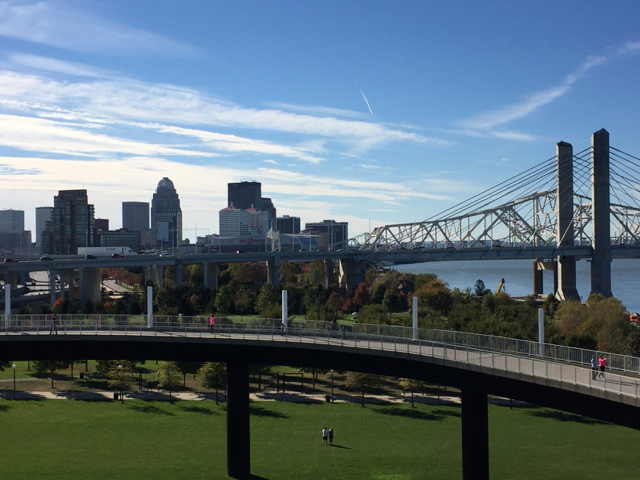 Today I wanted to share about some of the things we did in November in hopes that you might take away an idea or two! 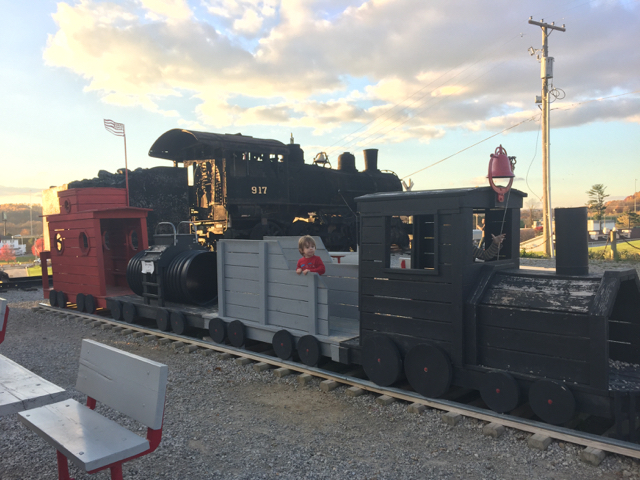 The first weekend in November, my husband and I met my parents at the Buckeye Express Diner in Bellville, OH! 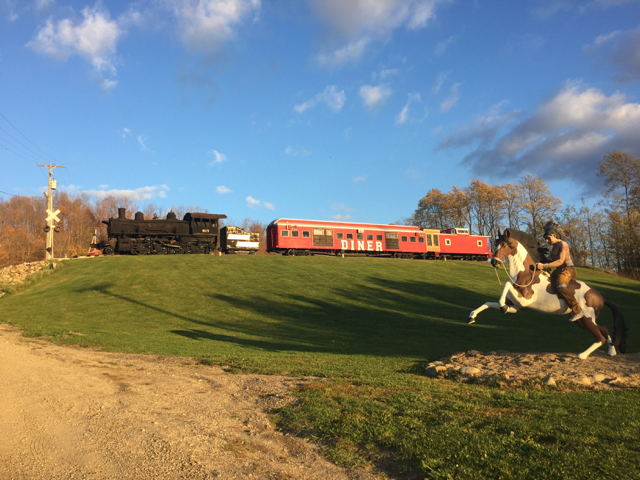 I had been wanting to take the kids to eat in this train car for some time! I knew they would love it and I also wanted to personally experience it before including in my MEGA Train List! 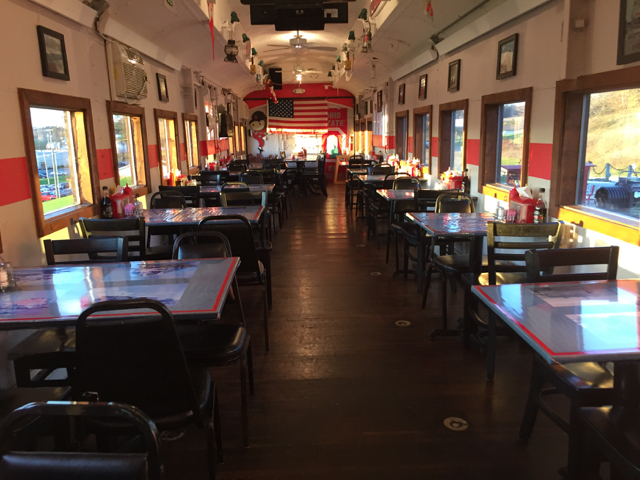 The diner is decorated with an OSU theme . . .
there is a train playground outside . . .
and they have huge burgers! 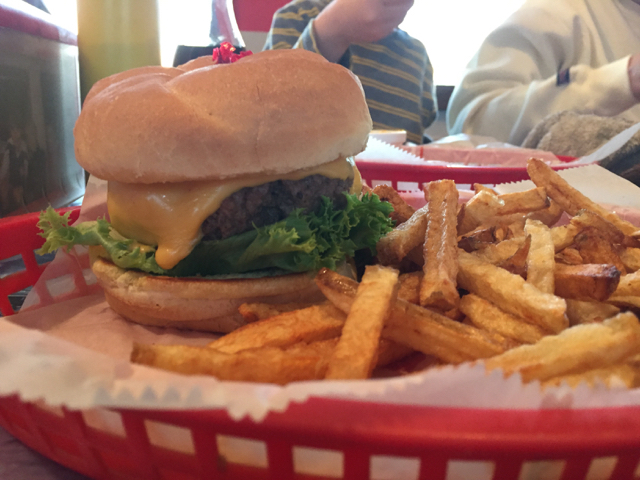 This restaurant is about an hour drive from downtown Columbus and you could combine it with a trip to Little Buckeye Children’s Museum. 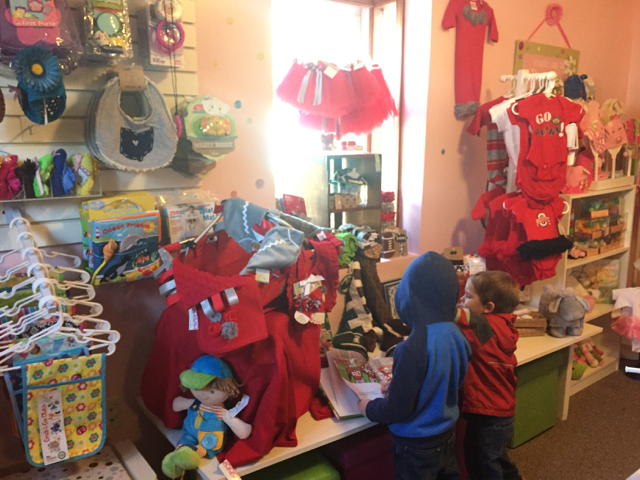 We checked out Tanger Outlets, Columbus for the first time! Our main goal was shoe shopping and we did succeed – new shoes for both boys! They were still wearing their rubber summer shoes made for getting wet and going in the washing machine and the warm November had lulled me into forgetting that all it would take was one cold day to freeze off their toes! 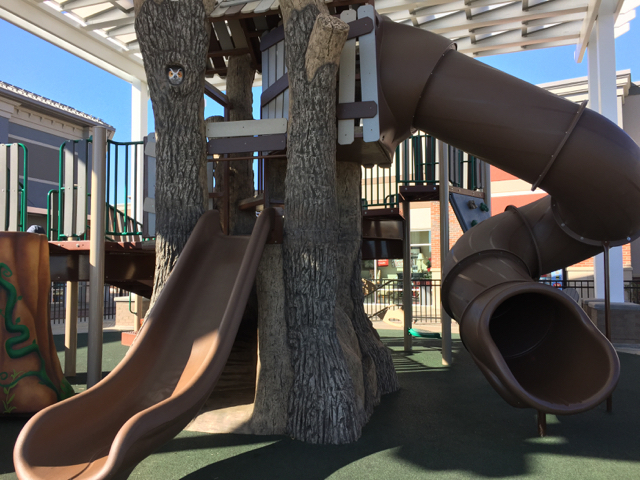 The playground at the outlets is really cute, completely closed in and my kids had a lot of fun playing there! However, it is NOT toddler friendly, there are several really high drop offs! 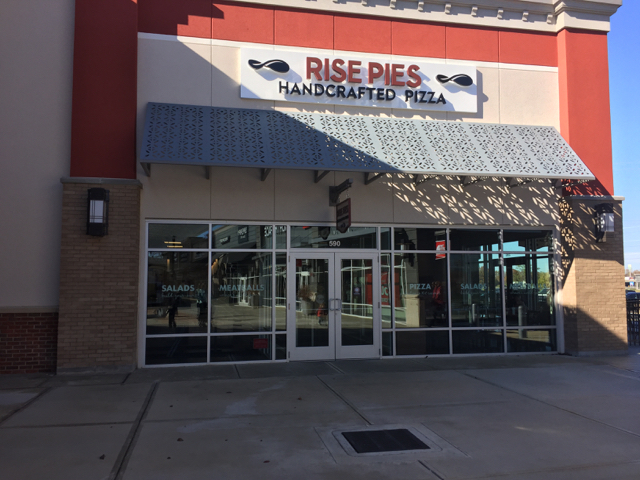 While we were there, we had lunch at Rise Pies – a cheese pizza was under $6 and was pretty tasty! 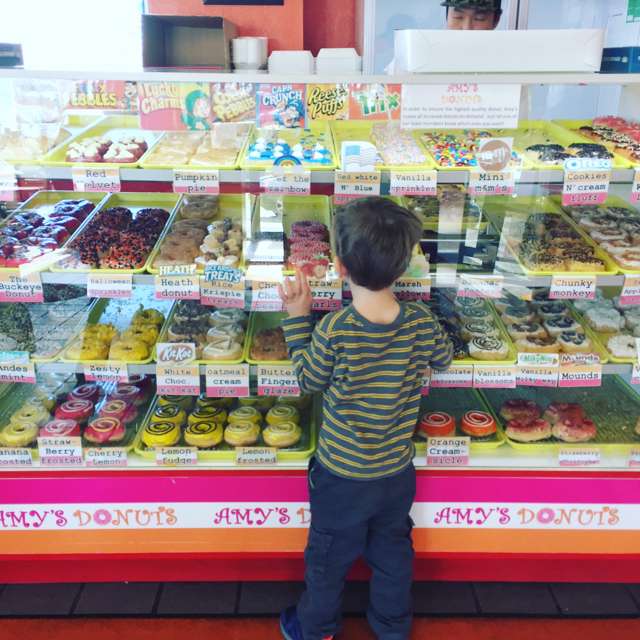 The kids and I went on a tour of Amy’s Donuts with a couple of other blogger friends from Columbus Moms Blog! 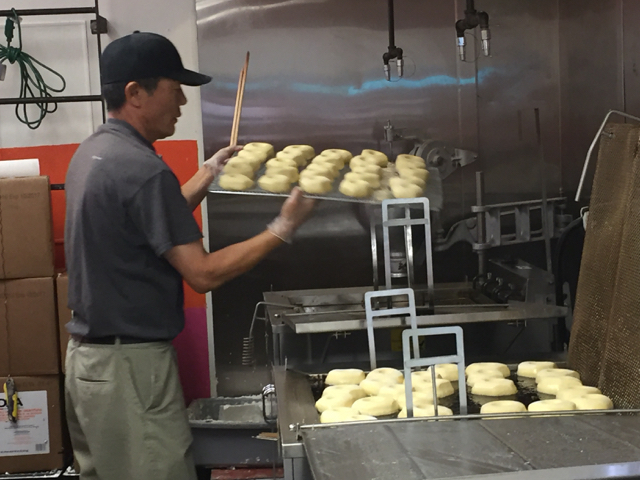 It was a short, fun tour where we watched the donuts get cut, friend and iced. 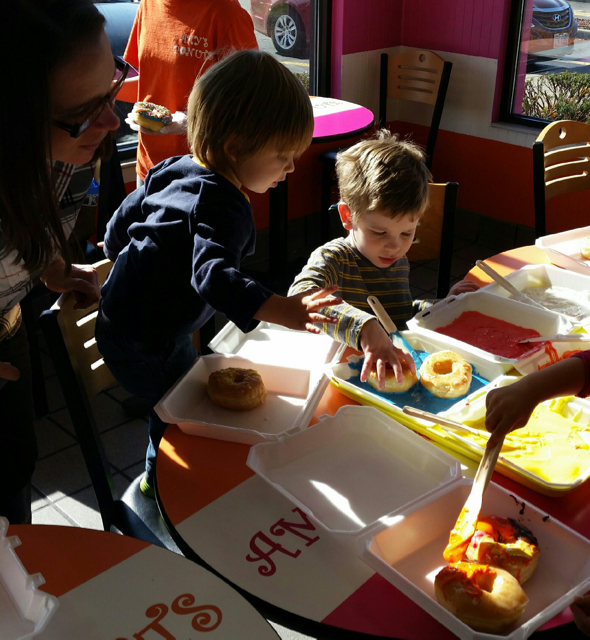 Each kid got to decorate two donuts at the end! You can read Helen’s post on her blog, Diaper Bag Diaries for more info and pictures! Tours are done every Monday, Tuesday and Thursday afternoon. Just give them a call (614-641-7721) to schedule. 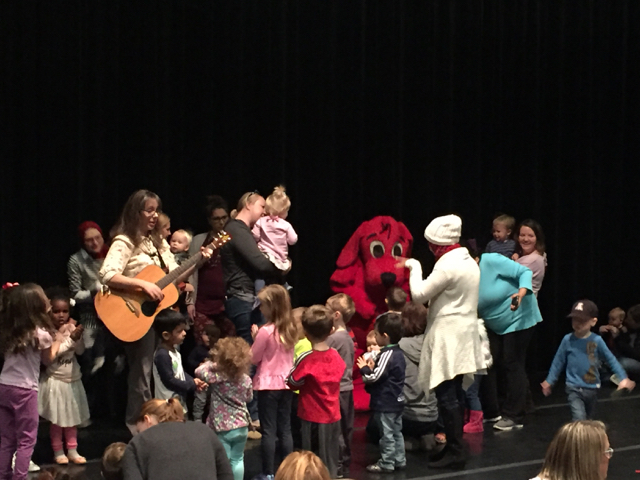 Mayson and I attended our first Toddler Theater at the Abbey Theater of Dublin with Miss Marlene – Dance and Sing! Clifford the Big Red Dog was in attendance and Mayson had absolutely no interest in getting anywhere near him! 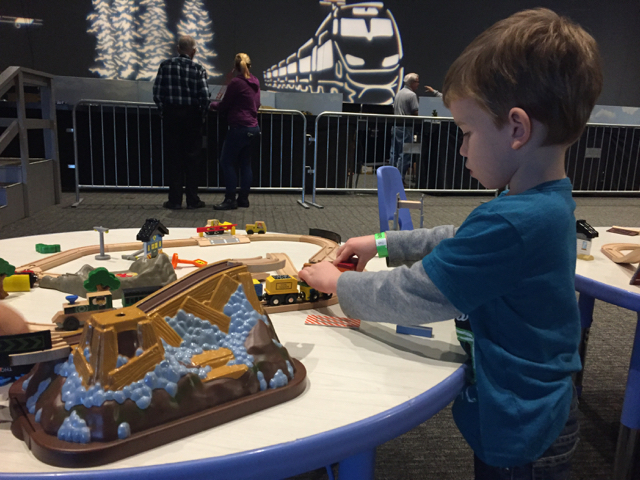 These Toddler Theaters are $2 per child and take place on select Wednesdays from 10:00 AM – 10:45 AM (see the link for dates). 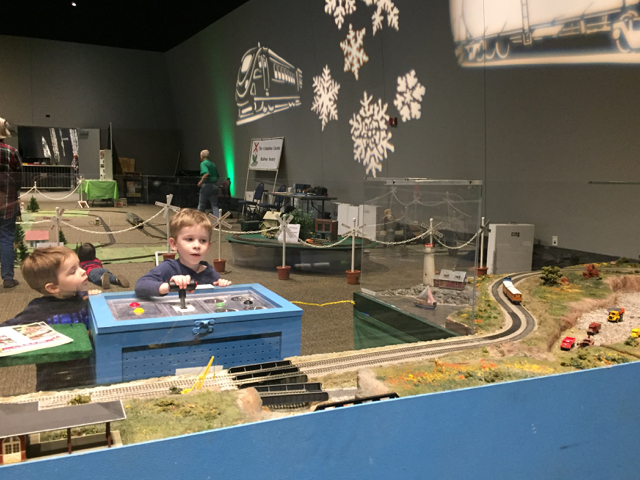 One of our favorite annual November activities is Model Railroad Days at COSI. 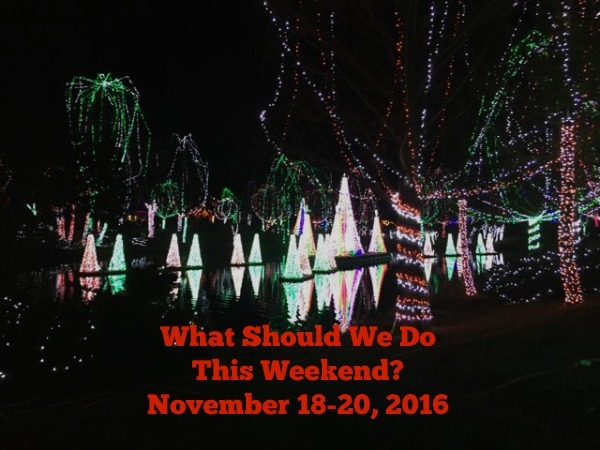 Always the weekend before Thanksgiving, the displays here are a hit with my kids! 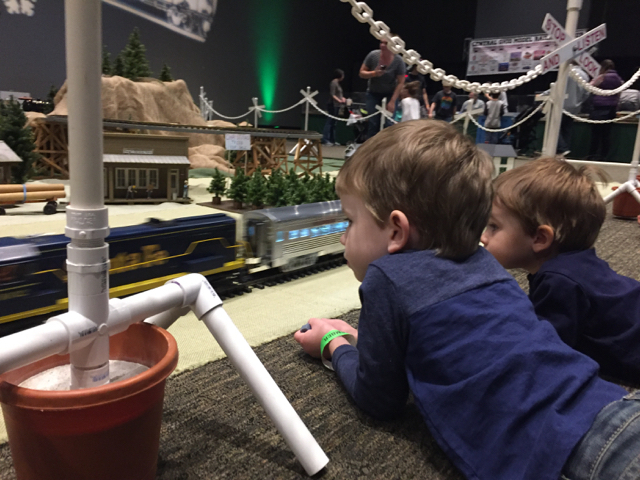 There are several large models set up across two rooms and each room has train tables for playing as well! All three shops were beautiful, the owners were friendly (and gracious, as I was the only one toting around two kids . . . haha), and there were kid friendly items for sale at each location! 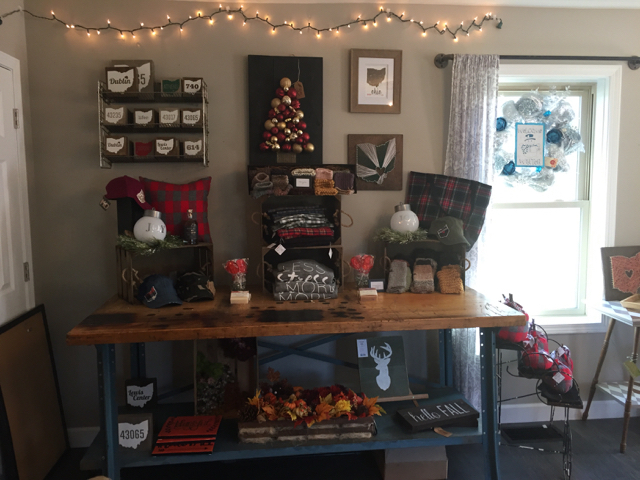 Keep these places in mind for unique Christmas gifts! We finished up November with a Thanksgiving trip to my brother’s house in Barlow, KY! It was a long drive, but we survived with a lot of new library books and DVD’s. 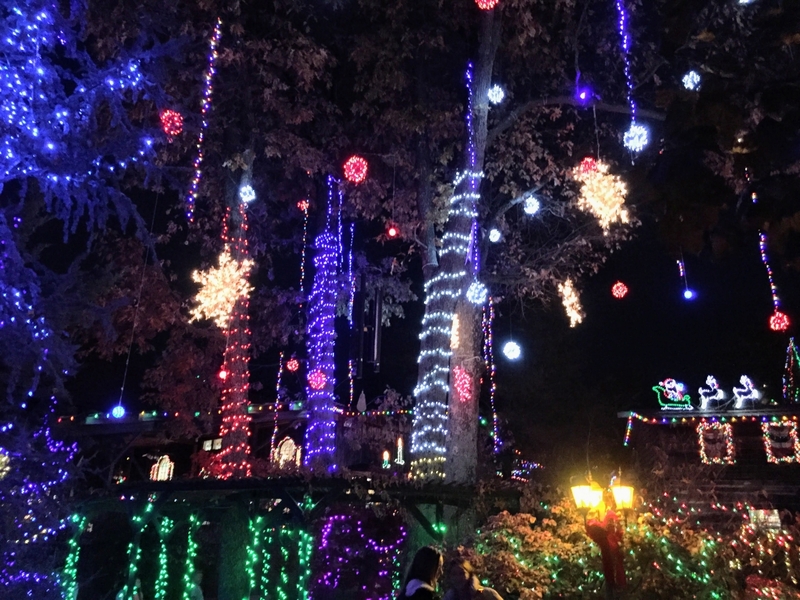 When we visit them, we love to go see the Christmas lights at Patti’s 1880’s Settlement in Grand Rivers, KY.
It’s almost December! 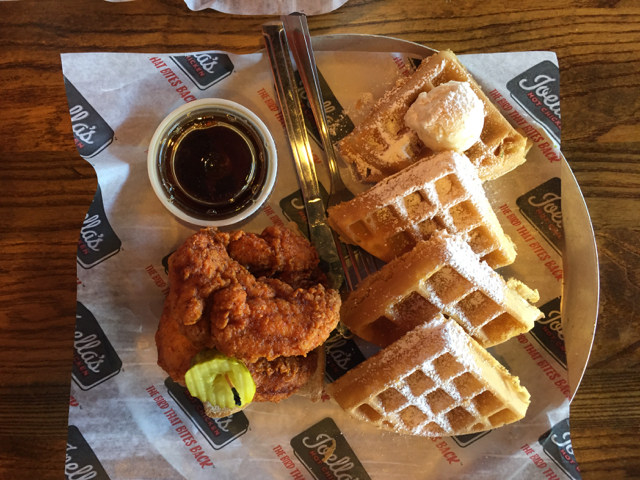 I love our Columbus Christmas traditions and I’m looking forward to trying some new things as well! 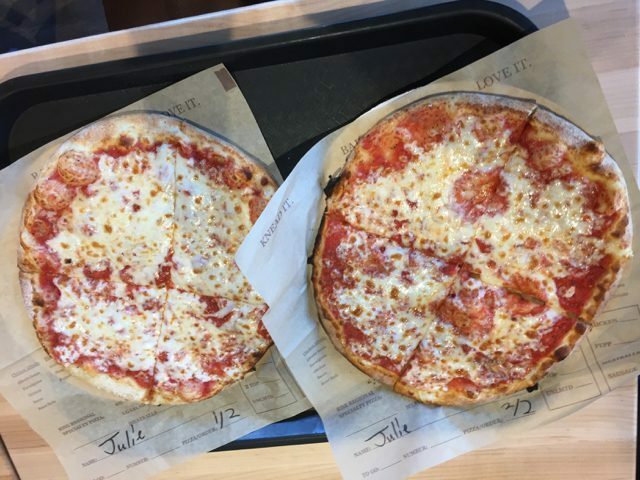 There is a lot to enjoy during the holiday season, but I think it’s also important to pace yourself and choose your activities wisely. I can tend to cram too much in, but having kids has made me more realistic in what I can accomplish and what I should even attempt! I still overdo it (just ask my husband) but I’m looking forward to a busy yet peaceful holiday season and I wish you the same!  http://whatshouldwedotodaycolumbus.com/wp-content/uploads/2016/11/columbus-november.jpg 480 640 Julie Miller http://whatshouldwedotodaycolumbus.com/wp-content/uploads/2018/01/What-Should-we-do-today-columbus-NEW-blue_03.png Julie Miller2016-11-28 20:01:202016-11-28 21:56:43November in Review: Amy's Donuts, Louisville, Toddler Theater and More!